What Happens When I File Overdue Returns? Once your returns become overdue, it might seem too late to expect an okay outcome. In actuality, an unexpected benefit of filing is that you will probably make more money. Sometimes, self-employed people who do not file their returns are frightened of discovery by the IRS and therefore suppress their own income. When the fear of discovery is gone, they pull out the stops and expand. For example, one of our clients was a dog groomer with a very small business. After filing her returns, she expanded to hire several groomers and added doggie day care. However, you shouldn’t take past-due returns lightly. Not filing your tax returns is a felony. Once in a great while people do go to jail for this, but such a prosecution is very rare. Because it is so costly and difficult for the IRS to enforce “failure to file” as a felony, usually the IRS will calculate a “Substitute for Return” or SFR return, and assess tax against you based on their own calculation. The SFR is calculated in a punitive manner to get your attention and drive you to actually file the real tax returns. What If I Don’t File My Returns? In my experience, you have no greater chance of being audited on late-filed returns than if you had filed on time. Until you do file the actual returns, the IRS will seek to collect the taxes that it calculated. Recently a man came to my office with SFR calculation by the IRS of $192,000. The actual tax bill for five years was $72,000. Although $72,000 is quite a lot of money, it is far less than the amount the IRS was seeking. The result the IRS seeks is a compliant taxpayer. They really want you to file your returns on time, and though they want you to pay the tax, paying the tax is emphasized less than the filing of the tax returns. The backlash for filing late tax returns is normally very mild. In my experience, you have no greater chance of being audited for late-filed returns than you would if you had filed on time. Interest and penalties will be routinely assessed by the computer, and the computer will start sending you notices. 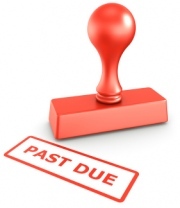 After about six months, a person at the IRS will notice that you owe them. But if you owe tax, you need to be thinking about how to pay it. Call us now to make a plan so that you control the matter, instead of it controlling you.